Bonifacio Global City is one of the financial districts in Metro Manila. It is popularly known as the former military camp which has been sold for development today. What was once an army camp is today a master planned City patterned like the New York City. Bonifacio Global City experienced a tremendous growth after this sale of the military land attracting investors to put up luxurious homes and business complexes. The Ayala Land Inc. Company was able to purchase large pieces of land alongside another company making the two a controlling stake in the Bonifacio Land Development Corporation. Sequoia Tower is one of the developments that Ayala Land Inc. have established in this highly sought city. Sequoia Tower is a residential development all condominium owned by Ayala Land Inc. and developed by the Alveo Land Corp which is under the Ayala. These condos are for sale in the thriving city of Bonifacio Global City. This development is inspired by the Europino Architecture that is outstanding from the rest of events coming up. Two Serendra is the maiden project that is under the Sequoia project which is a residential development. It has clusters of low to mid rise condominium buildings that cover about 65% of the 12 hectares of land. This development brings an end to development compromise by offering quality suburban living that has nature incorporated nature in vast areas. Sequoia Tower has introduced a live work and play environment that is integrated with shops in this fastest growing business area within the metro manila. This development has been master planned to represent the suburban ideals. These condos give an authentic taste of the suburban lifestyle through the active amenities provided for the entire family. This development is the exact example of distinct class and quality as delivered by one for the most respected developers, Alveo Land Corp. The Sequoia Tower can be seen rising as the tallest section of the Two Serendra making an architectural statement in the heart of Bonifacio Global City. This tower gives the city an urban lifestyle and prestige that fits this expensive city. The Sequoia Tower is surrounded by life’s conveniences just a few meters away from each other allowing a live, work and play environment for both young and old. It is an ideal 21st-century development that is centrally located to access all amenities like hospitals, schools businesses, and corporate headquarters as well as the Makati CBD. Bonifacio Global City being the fastest growing city makes the Sequoia Tower fit perfectly to the surroundings. It is a rare opportunity presented to the Filipinos to own an exquisite home in the center of development. The Sequoia Tower condos come in one, two and three bedrooms that are stylish and modern. The measurements differ giving each buyer chance to choose what is best for their needs. All the condos get a professional finishing, and advanced features are installed to ensure a comfortable lifestyle. With all the measurements displayed under each condo, the buyer gets all the information required to make a choice of what’s best and appropriate. The Sequoia Tower delights in laying things openly without keeping any hidden details from the buyer. Situated in Bonifacio Global City (BCG), the Sequoia finally completes the Two Serendra development in the suburban life in Bonifacio High Street. Integrated with shops, residents can live a life of leisure and comfort. Moreover residents have the benefit of working close from home as it is situated at the fastest growing business and lifestyle center in Metro Manila. Two Serandra is known to capture the suburban ideals – landscape gardens, water fountains, and a range of indoor and amenities for families and friends to enjoy. These features generate a unique lifestyle experience which is the signature of the Alveo brand – an Ayala Land development heritage. Inspired by Europino architecture, Sequoia is a residential development that is an intimate with low to mid-rise buildings and devotes 65% of a 12 hectare of land to large spacious gardens. Two Serendra will truly bring a different urban lifestyle with open green spaces, while providing close proximity to work, education, and other leisurely activities. Sequoia Tower is owned by the notable multi-awarded Ayala Land Corp. This company has a grand share of the Bonifacio Global City bought from the military land sales making it one of the biggest investors in this city. 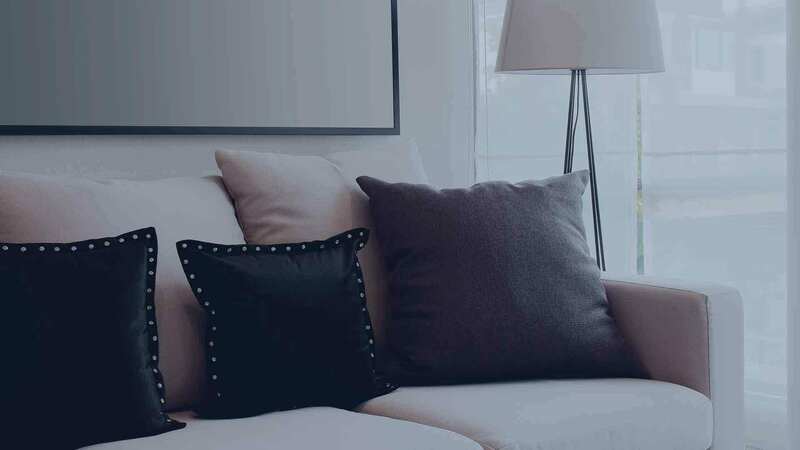 Ayala is the country’s leading real estate developer with addresses across the Philippines, building quality modern homes for the 21st market. The signature of most of the Ayala Land properties is the incorporation of nature within the homes as a way to teach people to learn to love the nature and live with it responsibly. Alveo Land Corp. is born from the Ayala Land Corp making it one of the finest developers in the entire Philippines. Following the trend that has been set by the bigger company, Alveo has maintained a classy quality work flow of developing beautiful homes across the Philippines. They have built a name that has a good reputation just like the mother company. Alveo Land Sequoia Tower in Bonifacio Global City, Philippines is a premier Condo project available for sale. If you're looking to rent or purchase Sequoia Tower, then check here first. We have full details of Sequoia Tower updated regularly as well as everything you need to know about the availing and booking process, broken down into stages that includes selecting a unit, choosing a payment plan and buying your dream home at the right price. For price list, free site tripping or showroom visit, personalized service, model house, unit plans, floor plans, payment terms, CHAT LIVE with an agent 24x7. We are Remax Perfect Homes. Always only buy from PRC licensed Real Estate Brokers and Agents. Being the initial residential development of Alveo Land (the trusted building arm of the Ayala Land, Inc.-ALI) in the BGC (the fastest growing central business district in the Philippines), the Sequoia Tower in BGC is one of the condos for sale in Taguig City that has the most interesting amenities and facilities never before seen in the local condo scene. This magnificent project also completes the Two Serendra residential developments in the heart of the Bonifacio High Street inside the Bonifacio Global City’s (BGC) natural landscape and perfect scenery for heartwarming natural wonders. The Sequoia Tower is so precious that its proximity to almost all of the life’s necessities, the cultural icons in the BGC (the Ayala Museum and the Mind Museum, among others), and other major urban locations within The Fort is tantamount to having the whole business district right at your fingertips. One of the most distinguishable traits of the Sequoia Tower BGC is its European-inspired architecture which is also distinct from other condo communities inside the BGC. This type of architectural design is highly valuable even after decades of appearance from the public eye and from investors who treasure this kind of outline which is seldom used by other developers because of its intricate design. This variation in design is made possible by Alveo Land’s visionary and its innovative team of designers, plus the magical hands of their engineering team that adds durability and strength to the various buildings comprising the Sequoia Tower residential community. Your investment with this kind of structures will surely last for generations. Living at the Sequoia Tower BGC will leave you with breathtaking views of the wonder of nature and feel its presence because of the site’s natural and man-made landscapes, water features, and wide open spaces. The site is also literally just a few steps away from several of the BGC’s key destinations like the Bonifacio High Street, the Serendra, Fort Strip, Market!Market! Glorietta, Greenbelt Mall, and other major destinations in The Fort. This condo for sale in Taguig City will really make your life more convenient as you can have all you want in one location that is why Sequoia Tower is also marketed as a real live-work-play (LWP) station unlike any other condo communities in the area. As housing and temporary abode for the ever growing population and transients that are coming to the BGC to conduct business, your unit could be an ideal source of sustainable monthly income if you decide to rent out your units. Yes, if you invest in the Sequoia Tower BGC, you can lease out your units to interested individuals or groups (such as expats, OFWs, young professionals, CEOs, and other willing tenants) and expect to earn substantial income from the rental, that is, even if you are still paying for this property via a monthly amortization. The good thing about it is that the management of Sequoia Tower will handle all your transactions and you just wait at home, sip your coffee, and expect a good fortune monthly or quarterly. The site is one of the most attractive in the area while home seekers want a haven distinct from a hotel with terrific amenities at affordable rates. Inquire about this lease option by contacting our knowledgeable team of real estate agents on this website for details.